The Arizona Supreme Court recently decided that a registered nurse who was certified in wound care and who worked as a wound care coordinator was not qualified under Arizona law to testify about the standard of wound care that ICU nurses should have provided to a patient with a pressure wound. The decision illustrates the unfairness of legislation that prevents experts from testifying in medical malpractice cases who have sufficient knowledge and experience to provide credible opinions. Karyn Rasor was placed in a medically induced coma after surgery. She was transferred to the Intensive Care Unit (ICU) at Northwest Medical Center (NWMC). During her stay in the ICU, she developed a pressure ulcer over her tailbone. She has had 31 procedures to remove dead tissue and was prepared to prove that she suffers from a permanent injury. Rasor sued NWMC, alleging that hospital staff engaged in professional malpractice by failing to reposition her properly, thus allowing the pressure ulcer to develop. Following Arizona law, Rasor filed a “preliminary expert affidavit” to show that she could produce expert evidence to substantiate the merit of her claim. Rasor’s expert was Julie Ho, a registered nurse who was certified in wound care. Ho had significant experience doing wound assessments and care planning in a long-term acute care facility during the year prior to her execution of the affidavit. The trial court determined that Ho was an expert on the standard of care for wounds but lacked the necessary expertise to testify about the cause of the patient’s injury. The court denied Rasor’s motion to designate a causation expert because the deadline for disclosing experts had passed. The court then granted summary judgment in NWMC’s favor and dismissed Rasor’s case. Rasor appealed. The Arizona Court of Appeals disagreed with the trial court’s determination that Ho was an expert on the standard of care that applies in an ICU. The Court of Appeals decided that only a certified ICU specialist could testify about the standard of care that an ICU should follow, and that Ho was a generalist, not a specialist. The Court of Appeals concluded, however, that the trial court should have allowed Rasor to designate a new expert. 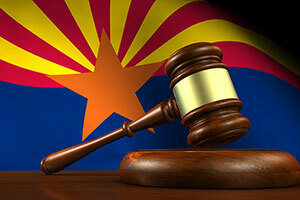 Both parties asked the Arizona Supreme Court to review the Court of Appeals’ rulings. Like most states, Arizona law requires an expert opinion to establish the appropriate standard of medical care unless malpractice is “grossly apparent.” Failing to position a bedridden patient so that bedsores and pressure wounds will not develop might be regarded as a grossly apparent breach of the duty to provide reasonable care, but the Arizona Supreme Court did not address that question. have practiced in the same health profession and specialty as the defendant during the majority of the witness’ professional time during the year prior to the commission of the alleged malpractice. The question before the Supreme Court was whether Ho was qualified to testify about the standard of care that Rasor should have received. The parties disagreed whether the ICU nurses who alleged caused Rasor’s injuries practiced a nursing specialty. Rasor argued that they had the same education as Ho and that Ho’s training as a registered nurse who was certified in wound care qualified her to render an expert opinion. According to NWNC, however, the nurses who treated Rasor were ICU specialists, apparently because they were trained to work in the ICU. The Supreme Court did not decide whether Ho worked in the same specialty as the ICU nurses because it concluded that Ho did spend the majority of her professional time during the year before Rasor’s injury working in the “active clinical practice of the same health profession as the defendant” nurses. Rather, she worked at a long-term acute care facility as a wound care coordinator and picked up extra shifts as an ICU wound care supervisor, but did work as an ICU nurse. The result might be consistent with a narrow reading of the Arizona statute (assuming that “active clinical practice” refers to something more than the practice of nursing), but if so, the decision points to the harm caused by statutes that restrict the availability of expert witnesses in medical malpractice cases. Ho was clearly qualified by training and experience to testify about wound care. Unless there is some reason to believe that wounds should receive different care in an ICU than they receive in an acute care facility, the place where Ho worked has no bearing on her expertise. And the fact that she worked as a wound care coordinator rather than an ICU nurse suggests that she had more expertise in wound care than the ICU nurses who allegedly harmed Rasor. Statutes like Arizona’s are the result of intense lobbying efforts by the insurance and medical industries to restrict the availability of experts who can testify in medical malpractice cases, regardless of their expertise. It is difficult to find a healthcare professional in active practice in an identical field who is willing to testify as a plaintiff’s expert, because healthcare practitioners are reluctant to testify against each other, even when they know their colleague has committed malpractice. Legislation like Arizona’s takes advantage of that reluctance to skew the playing field in favor of medical malpractice defendants by depriving injury victims of experts who, like Ho, have more than enough expertise to render an opinion about the standard of care that a patient should receive. Resolving a conflict among Arizona’s lower appellate courts, the Supreme Court decided that defendants are not required to challenge an expert’s qualifications before basing a summary judgment motion on the expert’s failure to meet the qualifications listed above. While Arizona law includes a procedure to challenge the preliminary affidavit, following that procedure is not a prerequisite to bringing a summary judgment motion. The Supreme Court ruled that the Court of Appeals should not have reversed the summary judgment because there is no automatic right to substitute a new expert after the judge bases summary judgment on the expert’s lack of qualifications. As a result of that decision, defendants have an incentive to lay in the weeds and challenge an expert only after the expert disclosure deadline has passed, preventing the plaintiff from salvaging the case by designating a new expert. While a plaintiff can file a motion to substitute a new expert in response to a summary judgment motion, the plaintiff may do so only before summary judgment is granted, and therefore will not have the benefit of the court’s ruling whether the expert who prepared the preliminary affidavit is qualified.